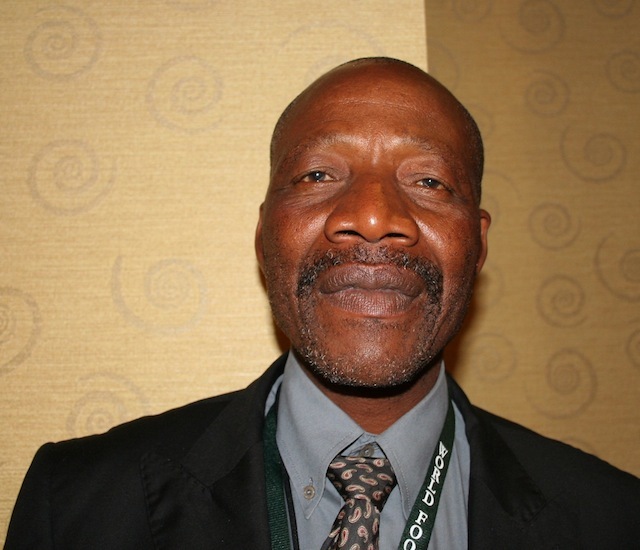 JOHANNESBURG, Nov 29 2012 (IPS) - South African smallholder farmer Motlasi Musi is not happy with the African Centre for Biosafety’s call for his country and Africa to ban the cultivation, import and export of all genetically modified maize. “I eat genetically modified maize, which I have been growing on my farm for more than seven years, and I am still alive,” he declared. Musi, 57, a maize farmer in the Fun Valley area of Olifantsvlei, outside Johannesburg, and a beneficiary of South Africa’s Land Redistribution for Agricultural Development programme, has embraced the science of biotechnology with gusto. “What have changed are my yields and my income.” He said that he earned about 225 dollars more per hectare for his GM maize crop than he did when farming ordinary maize. South Africa is one of only three countries in Africa, along with Burkina Faso and Egypt, currently planting commercialised GM crops. Nigeria, Kenya and Uganda are currently conducting field trials, while six African countries have enabling biosafety laws allowing the safe development and commercialisation of GM products. Swanby said there was a need to improve access to food, by addressing poverty, unemployment and issues around land tenure, service delivery, infrastructure, access to markets, and unfair global trade practices. The company’s vice president responsible for Asia, Africa and China, Daniel Jacobi, told IPS that of the 24 million hectares of maize planted annually in sub-Saharan Africa, about a third was hybrid seed. this is a good example of how GMO’s are destroying the farmers land. Any good farmer knows that you can’t grow the same crop on the same piece of land year after year after year.. especially not 7 years straight without pouring tons of fertilizer and pesticides on the crops. This guy is just ignorant. He’s not a farmer.. or else he would know how to rotate the crops. He’s a stoolie for Monsanto who is only interested in making more money for themselves by selling these farmers the fertilzers, pesticides, and weed killers that they use. Next they will sell them terminator seeds so that there will be no other choice but to pay for new seeds every single year. Sorry but this is not worth any perceived extra production you think you’re getting from the GMO seeds. I am a plant breeder myself. and i can promise you.. there are many open pollinated varities that are just as productive as those GMO’s and even the hybrids. And yes.. even hybrids can be stabilized so that in seven years they can be made to be open pollinated types. I have nothing against hybrids except for the fact that the seed companies and the plant breeders never finished up with stabilizing them to be open pollinated varieties because of greed. They are better than GMO’s but they’re not as good as open pollinated varieties where the farmer can save his own seed year after year. Every farmer should stay away from hybrids as well as GMO’s unless they want to become slaves to the seed sellers. 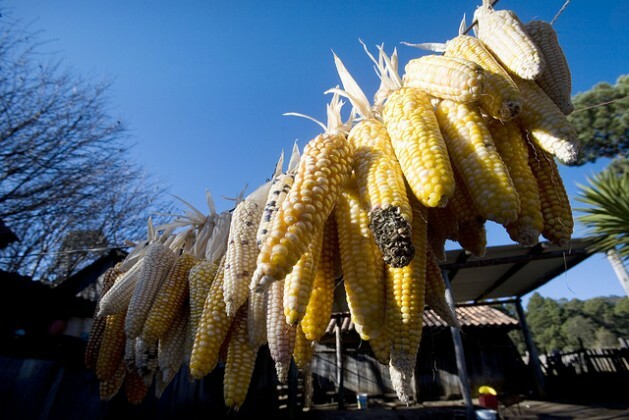 I like the irony of justifying GMO maize adoption because of climate change, The fertilizer he uses is made by the Haber process in a factory far away that burns huge amounts of methane (natural gas) putting tons of carbon dioxide in the air to accelerate climate change to convince a farmer to use more fertilizer on his soil-destroying GMO maize. What a neat cycle that Monsanto and DuPont are presiding over. Seeing nothing but short term gain, the GMO enthusiasts beat the drum for exhausting soil and atmosphere to gain this year’s yield. Bill Windows is funding other ways to reduce Black Carbon Footprints.